During a pre-session consultation with Keegan's mom, I found out that he's a talented saxophone and french horn player. Little details like this are so important and really help me to bring a senior's personality out in their photos. Some of my favorite images in this shoot are the ones with his sax - specifically the image of Keegan in the elevator. 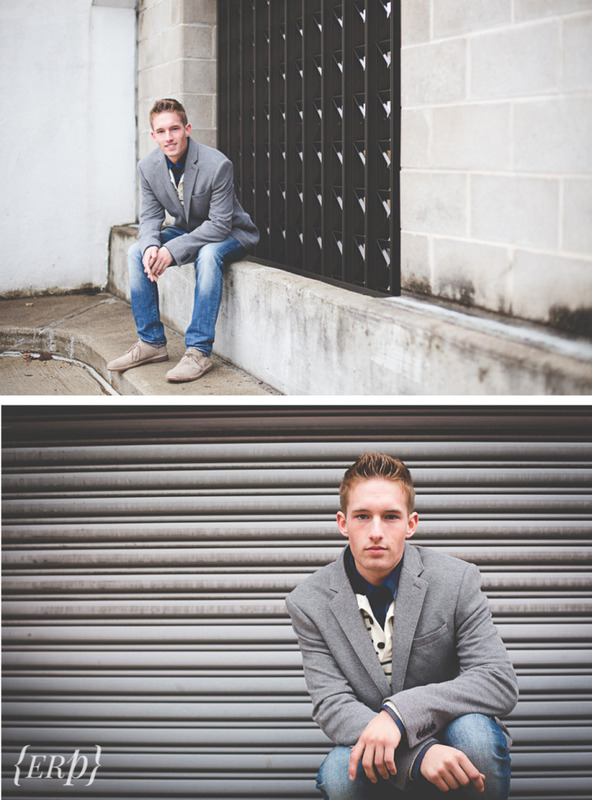 It was so great to break away from my typical country-setting senior session & head to Downtown Kalamazoo. This shoot absolutely lit a fire inside me to try some new things in the coming year that will allow me to use more of my creative freedom. I'm already brainstorming, & a model-call may be coming soon! Best wishes to you, Keegan, as you prepare to graduate in 2015. It was fantastic working with you, & I loved collaborating with you on some of these shots.